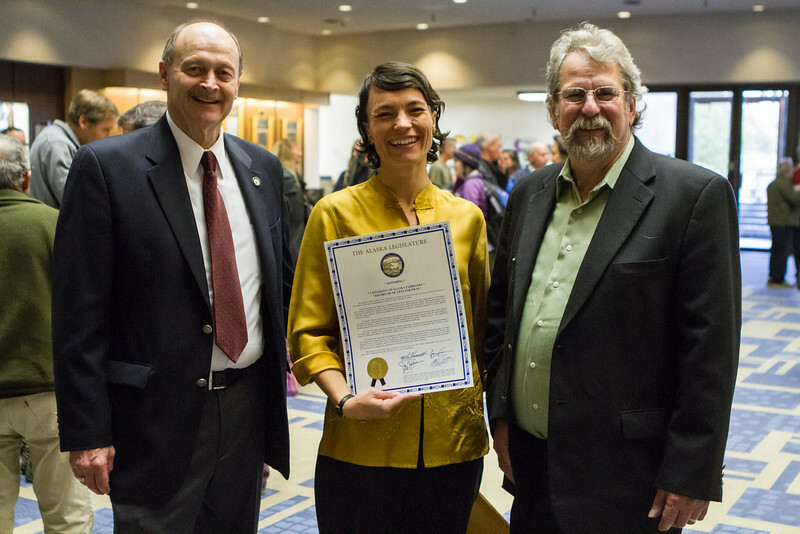 Members of the Alaska legislature Rep. David Guttenberg and Sen. Joe Thomas present UAF Film department head Maya Salganek with a copy of the proclamation. The state voted to continue to offer economic incentives for film and television producers to shoot in Alaska. Salganek was vital in organizing a grassroots campaign that demonstrated strong support for the program.